While working on something else I came across this from last year which I had meant to write up. 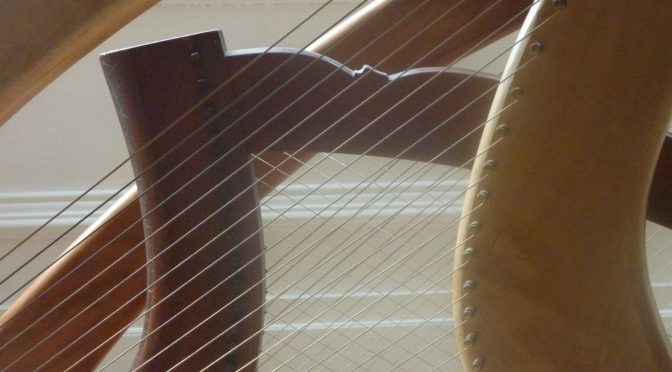 Understanding the tuning and stringing of an old harp requires knowledge of string lengths and angles. 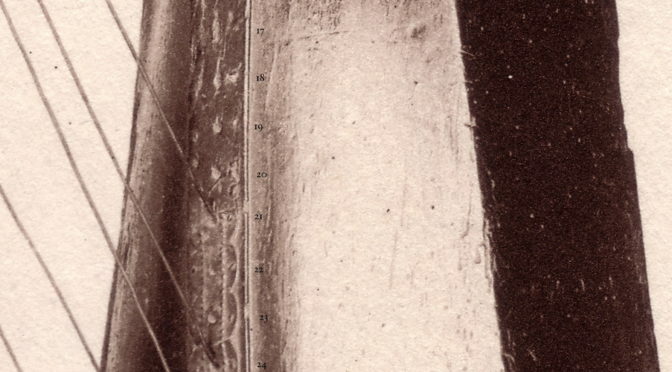 This basically means measuring between the tuning pin and the little hole in the soundboard where the string goes in. 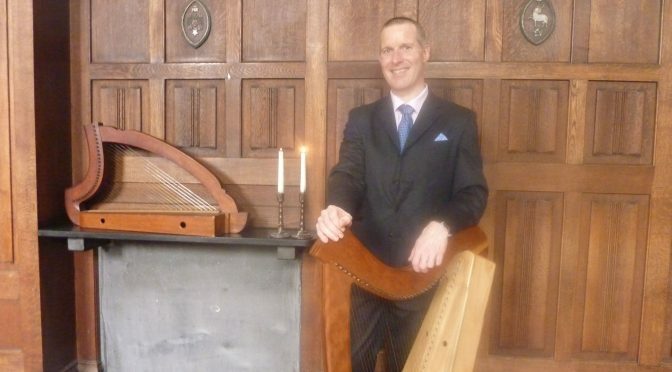 But Ann Heymann pointed out to me years ago that on the Castle Otway harp, you can’t see a lot of those holes, because the metal strap down the middle does not line up with the string holes in the wood. Edward Bunting‘s first field notebook, which he used to take down live transcriptions from the old harpers in 1792 and later, is kept at Queens University Belfast, Special Collections, MS4/29. Usually known as ms29, it is a small oblong notebook stuffed full of sketchy drafts and scribbled transcriptions from the playing of the last tradition bearers. 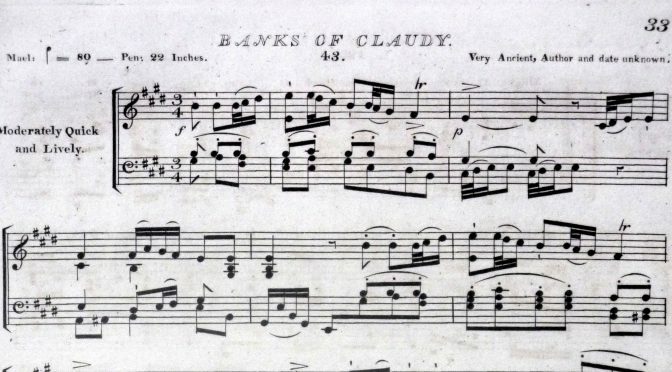 On page 1 of the book is a two-staff arrangement of “The Banks of Claudy”. I’ve been playing almost every day now for a week and a half, using the tips of my fingers, with my nails trimmed short. Here are a few preliminary observations. 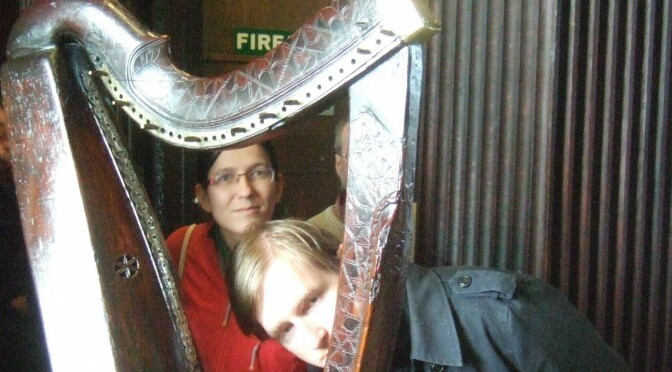 I first got hold of one of the HHSI Student Otway harps back in 2007, as part of the very first batch of two, made by David Kortier for the Historical Harp Society of Ireland. I believe there may only have been three made in total – one is in the north of Ireland, one was sold to a private buyer, and I currently have at my house one that was made in 2009.